This beach condo's door to a bedroom felt confining. We think outside the box! 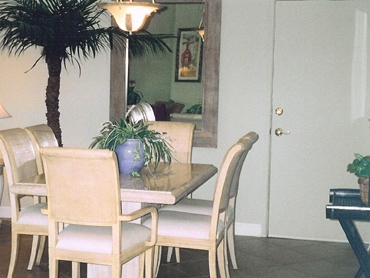 We added mirrors & moldings in a French door style, which transformed the space. 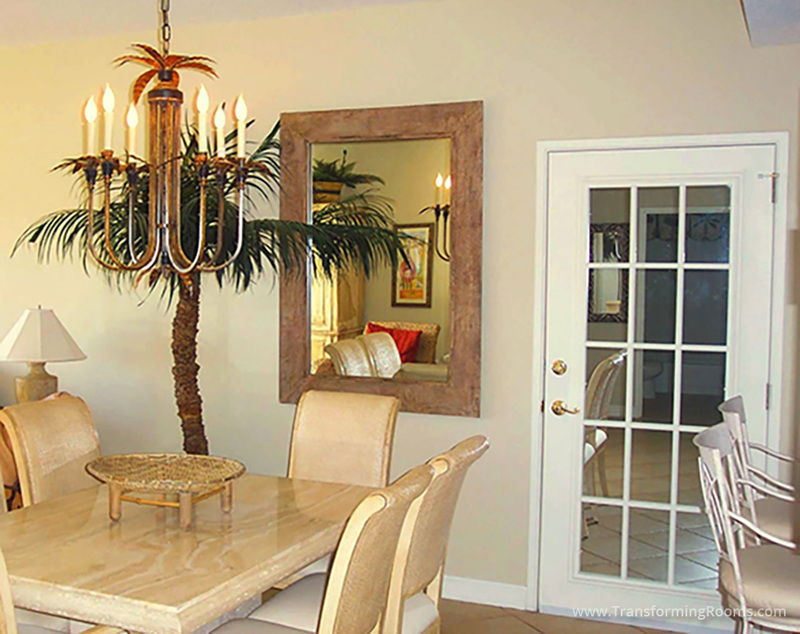 Our new chandelier reflects the owner's love for Palm Trees!